Vitamin deficiencies are very common even with people who seem to be the healthiest. The moment we experience deficiencies, the best remedy that we can think about is to pop vitamin supplements. However, it’s been an undying battle if these supplements really help our body or not. Some manufacturers would mask their list of ingredients to trick consumers. They would either hide potentially harmful chemicals and camouflage them into something that’s vaguer to confuse you. Worst case scenario, they wouldn’t even list these toxic ingredients. Let’s take into consideration on what is inside some of these vitamin supplements. While supplements aren’t necessarily bad, nutritionists would recommend getting the nutrients that you lack from actual food. From the word itself, dye, we already know how vitamins come in a wide range of colors. While it’s aesthetically appealing to be ingesting an ocean blue colored pill or a very bright pink one, it doesn’t really offer any benefit to your body. It can even cause allergies and behavior problems. You might be thinking, “Then, what’s the purpose of the dye?” The main purpose of dyes is if a certain medication is exposed to extreme light, temperature, moisture or any other conditions, it can be an indication that certain ingredients in the supplement can be rendered useless or more useful. Basically, it is useful to an extent but it doesn’t mean that it’s useful to your body. While some dyes can be safer than the other, it might be better to just avoid it all in all. Here are dangerous dyes according to the Americal College of Healthcare Sciences in Portland: FD&C Blue No. 1, FD&C Blue No. 2, FD&C Green No. 3, FD&C Red No. 3, FD&C Red No. 40, FD&C Yellow No. 5, and FD&C Yellow No. 6. Fillers in vitamin supplements usually serve a purpose. Whether it’s to give a certain color to the pill, as a preservative, or as an anti-caking agent to prevent lumps. If you think about it, it sounds useful and harmless. But here are some of the fillers that you might find in your supplements that are considered carcinogens. The first one is magnesium stearate which is used to lubricate machines (Yes, machines! Can you imagine?! 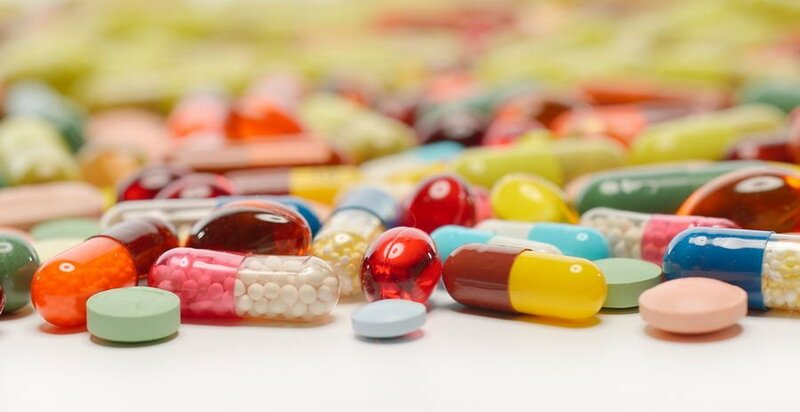 ), silicon dioxide which is also used as a machine lubricant and a capsule filler, and titanium dioxide which is used to create that milky white color in a lot of pills. Another filler is a preservative called sodium benzoate. It is mostly found in sodas and processed food but is still considered a carcinogen and is toxic to the body if ingested in unhealthy amounts. Did you know that the same artery-clogging hydrogenated fats and oils– or what we usually call as trans fats are also used as vitamin fillers? The safest way to avoid these fillers is by simply reading the label. If you can’t decipher certain ingredients, just look them up online. I bet you know a friend or two who are taking Omega-3 to improve their health. 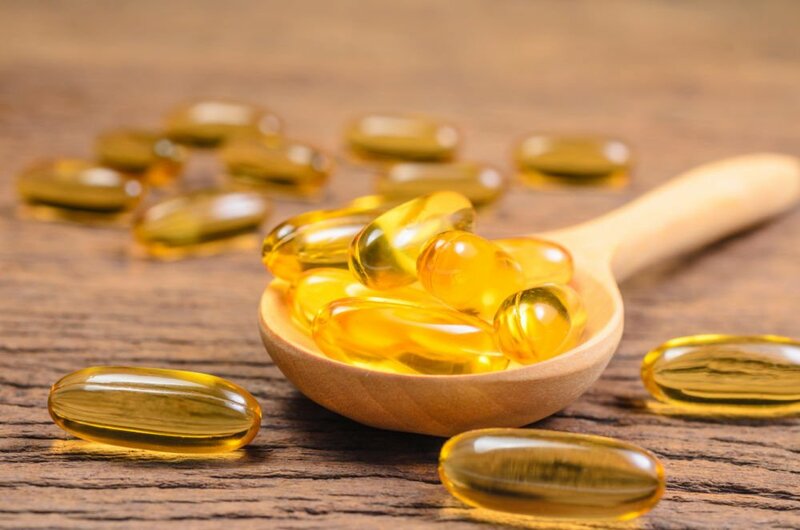 Fish can have dangerous levels of mercury, lead and other contaminants that weren’t eliminated in the process of making the fish oil supplements. Also, don’t let the lie of “organic” label stamped on the bottle fool you. We all know how we put so much faith in anything that’s labeled “all-natural” and “organic”. No vitamin or mineral supplement can treat, prevent, cure or reverse any existing disease or condition. Beware of manufacturers claiming something that’s too good to be true. If it’s telling you that it can make you feel twice as energetic or that it reduces stress… Let’s just say that it’s all a marketing strategy to get more people to buy their product. Stress can’t be managed by vitamins. Don’t let them profit from your needs. You have to realize that supplements cannot replace all the nutrients that can be found in natural food. Realistically speaking, a green and leafy vegetable salad can cost less than an iron supplement. Not only that, but actual food can have more than just one nutrient in it that can really improve your overall health compared to one pill that has more fillers, additives and toxic ingredients than the actual vitamin. Nothing beats a healthy diet and a healthy lifestyle. No vitamin supplement can ever give you that regardless of the brand or how expensive it is. While I can’t actually say that it’s best to skip supplements overall, there could be instances wherein these supplements are the only choice available for individuals in order to improve their health. The only way to avoid these toxic ingredients is to sift through the ingredient list and to stay away from manufacturers who trick their consumers and to have a consistently healthy diet and lifestyle in general. I rely on iron supplements a lot because I know that I don’t eat much food that is rich in iron. I didn’t really think that there are harmful ingredients in those tablets. ? Medicine manufacturers shouldn’t trick their consumers.. We always assume that medications ‘help’ us. But some are doing the opposite just because these companies want profit.. Not all of us also have enough knowledge to figure out which is harmful and which isn’t.. Exactly. We rely on these supplements to help our bodies be healthier, not to be poisoned! Dyes should be natural! There’s no actual need for these dyes. There’s a reason why it says “Do not put in direct sunlight” or whatever! What are these companies thinking of? Now I’m scared to even drink any meds that have very fancy colors.? What do we even expect with these manufacturing companies? I would just like to believe that our doctors prescribe these medications to us because they know that it can really benefit our health and not the other way around. The reason why some people still choose to take supplements rather than eat natural food is that it’s the easiest thing to do. Can you just imagine trying to Google almost every food that you consume daily just to figure out how much nutrients you’re getting? It’s such a pain to even do groceries and plan meals just to make sure you have no deficiencies. I’m guilty of being lazy about this. But planning your meals beforehand really does help. It gets easier once you’re used to it. I wonder why these medicine manufacturers just can’t figure out better alternatives that aren’t toxic? I was surprised by the trans fat that’s included in these vitamins.? Everything that you need to know about certain ingredients are always available online. Even related searches are very helpful nowadays. I never really saw supplements as a cure-all, but I always knew that it helped in improving the quality of our lives. We should just try to get our vitamins and minerals from natural sources. It’s what our body naturally looks for. Do you know why your pee becomes bright yellow after taking that multivitamin? It’s because those are the vitamins that your body doesn’t need. In short, you’re just wasting your money just so you can pee more than half of the vitamins! This happened to me and I was told the same thing. After that, I just stopped taking multivitamins and just focus on certain food groups that I think I needed more to compensate for deficiencies. That would be a waste if your medicine is rendered useless just because of improper storage. In my experience, for medicines that have silica beads in them to absorb any moisture, I don’t remove it. I understand that there’s a need for fillers because there are certain ingredients that don’t work under certain circumstances, but companies should at least make it safe for consumers. We rely on these things to make us feel better, not worse. I’ve heard so many promises with supplements even though they market it as non-therapeutic. They play with the consumers’ minds. Your body will just get rid of extra vitamins and nutrients. Too much of it can even lead to more problems. Just get all of it from food! What about for those people who really have deficiencies? I guess they just have to deal with the fact that the pill they’re taking isn’t 10 out of 10 safe.